I bought two pounds of carrots yesterday because I wanted to make some antipasti. I like everything that's marinated and I love every kind of antipasti I can eat as snack or supper with some fresh bread. 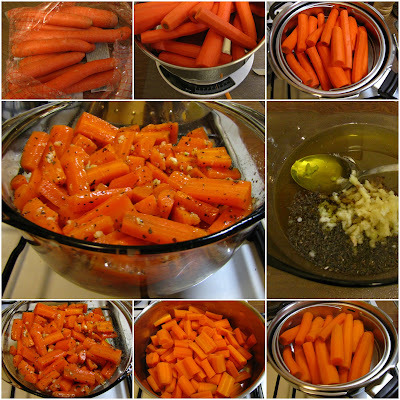 Preparing the marinated carrots is very easy - it takes maybe 30 minutes, so I am going to share the recipe with you. Cook them al dente in a pot for a couple of minutes. You'll have to check it. I cooked the carrots in the pressure cooker for 2 minutes and left it after I switched off the stove for 4 minutes to cool them down. In the meantime prepare the marinade. Mix the vinegar + oil + spices + herbs + salt + squeezed garlic in a bowl. 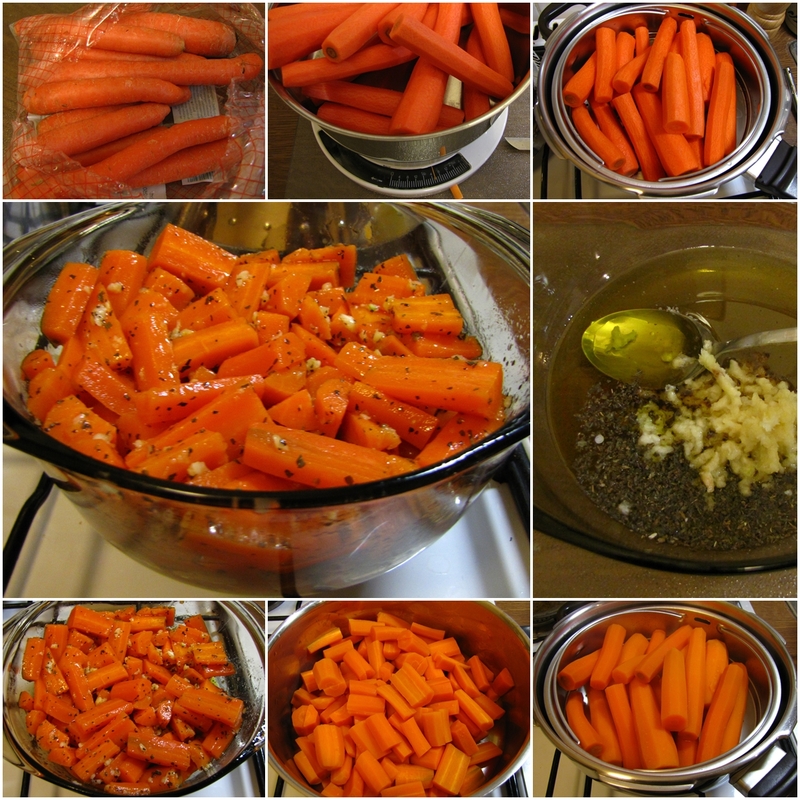 Cut the carrots in half or quarters (it depends how thick they are) and then into pieces of about 2 inches. Add the carrots to the marinade and mix it well together. Keep the antipasti for one day or over night in the fridge.